There are many colorful trends sweeping the streets of hair this year. 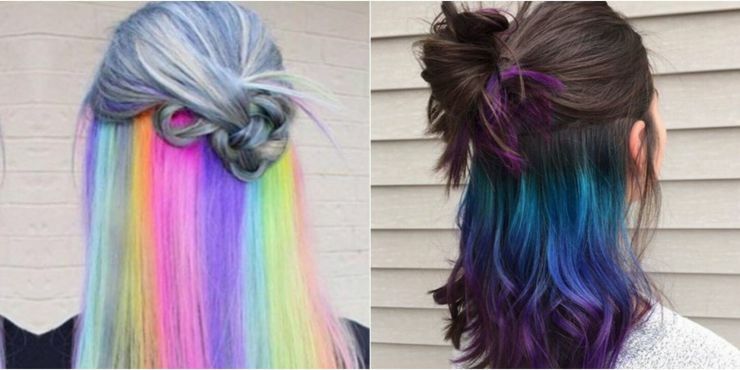 Between bright coloring, and rainbows galore, shaving the underside of your head has become a popular trend. This undercutting technique is taking the world of hair by storm with shaved designs of various colors. From fish scales to cats, talented hair stylists in the Rochester area are creating hidden masterpieces that can only be revealed when the hair is worn up. Choose from multicolored patterns, animals, hearts, designs, spider webs, fish scales, and more when it comes to what is being referred to as peek-a-boo rainbow hair. Your hairstylist would be more than happy to shave the underside of your hair into a colorful design for spring. 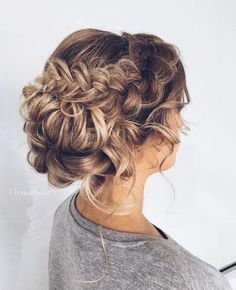 If you can dream it, the talented hair stylists at The Looking Glass can achieve it. Having the under section of your hair shaved off will help to keep you cool this spring and summer. If you are not one of the bold who wants patterns shaved into their head, but would like a pop of color for the summer season. Try dying the underside of your hair into a rainbow, so that when you wear it half up the rainbow is visible, but when it is down the rainbow is not. Spring into this warmer weather with a pop of color to the underside of your do. Call the hair styling experts at The Looking Glass today to schedule your appointment for a one of a kind look today! Copyright © 2019 The Looking Glass. All Rights Reserved.